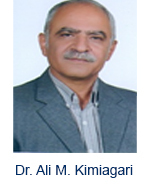 Dr. Ali Mohammad Kimiagari is a Professor in the Industrial Engineering and Management Systems at the Amirkabir University of Technology (Tehran Polytechnic). He received His Ph.D. Degree in Industrial Management from The University of Paris‎- Dauphin in 1978 and worked as a professor in Amirkabir University of Technology (Tehran Polytechnic) for 25 Years. His Area of Expertise includes: Mathematical Modeling and Optimization, Macro and Micro Economics, Productivity and Resource Management. 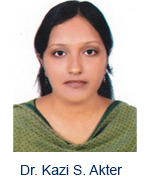 Dr. Javed Alam is Associate Professor in the Department of Civil Engineering, Z.H. College of Engineering & Technology, AMU. Aligarh. Dr. Alam did B.Sc. Engineering (1985), M.Sc. Engineering (1987) and Ph. D. (2005) from AMU Aligarh. His research interests focus on water resources, Geotechnical Engineering, Soft Computing and flood control. He is life member of Institution of Engineers (IE. ), Indian society of technical education (ISTE), Indian society of water resources (IWRS), Indian society of hydraulics (ISH) and fellow of Indian Association of Hydrologist. 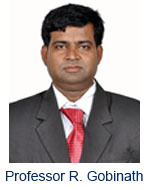 He has authored papers in various National, International journals/ Conferences. He has also been involved in a number of consultancy projects. 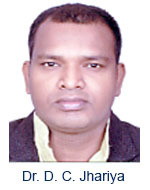 Dr. D. C. Jhariya is presently working as an Assistant Professor in the Department of Applied Geology, National Institute of Technology, Raipur (Chhattisgarh). He joined Department of Applied Geology, National Institute of Technology, Raipur (Chhattisgarh) as a faculty member in 2009. Dr. D.C.Jhariya completed his M.Tech and PhD from the Department of Applied Geology (Faculty of Engineering), Dr. Harisingh Gour University, Sagar, Madhya Pradesh (Formerly University of Sagar). His expertise extends to the field of Hydrogeology, Environmental Geology Remote Sensing, GIS and their Applications for water resources management. He has about 07 technical papers 04 technical report to his credit. He has guided 03 M.Tech thesis and 02 PhD thesis are in progress under his supervision. He is the Recipients of "Siksha Rattan Award” by Dr. Bhisma Narain Singh Fromer Governor of Tamilnadu and Assam at a Seminar on Economic growth and National Integration organized by India international Friendship Society at New Delhi on 15th April, 2013 for his outstanding contribution in the field of education. Professor R. Gobinath is a Professor in the Jay Shriram Group of Institutions, Department of Civil Engineering at the Anna University. He had published more than 30 research papers in various journals and also served as editorial member of various journals in the field of Civil and Environmental Engineering. He is specialized in Environment and Environmental Geo-technology and presently working slope stabilization. 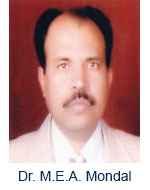 He also serves in review board of various journals in the field of Civil Engineering. He is the author of more than 30 publications and also had attended more than 90 conferences in both national and International level. 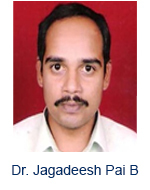 Dr. Jagadeesh Pai B is an Associate Professor in the Civil Engineering, Department of Manipal Institute of Technology at the University of Manipal. He received his/her Ph.D. Degree in Remote sensing and Ocean Engineering from NITK Surathkal in 2009. Then joined Manipal Institute of Technology, Manipal University. He is having 5 Years of Experience in the field of Microwave Remote sensing. His Area of Expertise includes: Synthetic aperture Radar, Ocean Engineering, Stabilised Mud blocks and RS & GIS applications in Civil Engineering. 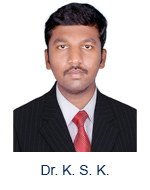 Dr. K. S. Kasiviswanathan is working as Associate Professor in Department of Civil Engineering at VIT Chennai. He received his PhD Degree in the topic of “Uncertainty analysis of neural network based hydrologic models from Indian Institute of Technology Madras. His Area of Expertise includes watershed modeling, quantification of uncertainty in hydrologic models and statistical analysis of hydrologic data. He is recipient of any prestigious Berkner Grants awarded to earth scientist by American Geophysical Union (USA). 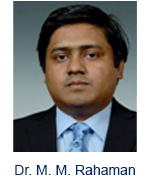 Dr. Muhammad Mizanur Rahaman is an Associate Professor in the Department of Civil Engineering at the University of Asia Pacific, Bangladesh. He received his Ph.D. Degree in Hydrology and Water Resources from Helsinki University of Technology (now known as Aalto University) in 2009 and earned his postdoctoral from Aalto University, Finland. He worked as a Visiting Academic at University of Cambridge, UK, for one Year. 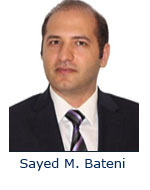 He is having 13 Years of Experience in the field of water resources. His Area of Expertise includes: integrated water resources management, transboundary river basin institutions, water conflicts and security, global water policies and water laws, both nationally and internationally, including South and Central Asia, Myanmar and Europe. He has also experience of working in the field in Bangladesh, Bhutan, Finland, India, Nepal, Canada and UK. He is the author of over 40 scientific articles among which 30 are peer-reviewed publications. His research findings are published in many reputed journals including Natural Resources Forum, Water Policy, International Journal of Water Resources Development, and Integrated Environmental Assessment and Management among others. Dr. M.E.A. Mondal is a Professor in the Department of Geology at the Aligarh Muslim University. He received his Ph.D. Degree in Geology from Aligarh Muslim University in 1995 and earned his postdoctoral from Physical Research Laboratory (Department of Space), Ahmadabad. He is having 17 Years of Teaching Experience in the field of Geochemistry, Geodynamics, Engineering Geology, Igneous and Metamorphic Petrology. He is particularly interested in understanding the geodynamic evolution of Indian continental lithosphere, viz. Bundelkhand craton, Bastar craton and Aravalli craton through multi-disciplinary approach involving field studies, petrology, geochronology and geochemistry. 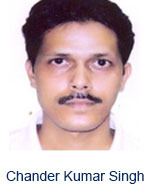 He has published 55 research papers in peer reviewed journals including Precambrian Research, Gondwana Research, Lithosphere, Tectonophysics, Island Arc, Journal of Asian Earth Sciences, Geochemical Journal, Terra Nova, Current Science, Journal of the Geological Society of India and Journal of Earth System Sciences. Total citation of his papers is 180. He has completed 06 research projects and at present carrying out 01 research project sponsored by DST & UGC. His Area of Expertise includes magmatic and tectonic processes of Precambrian crustal evolution, hard rock and clastic rock geochemistry. 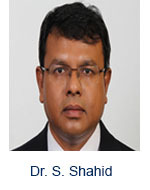 Dr. Shamsuddin Shahid is an Associate Professor in the Faculty of Civil Engineering at Universiti Teknologi Malaysia (UTM), Johor Bahru, Malaysia. He received his Ph.D. in Hydrogeology from Indian Institute of Technology Kharagpur in 2001 and earned his postdoctoral from Friedrich-Schiller University of Jena-Germany. He is having 20 years of teaching and research experiences in the field of environment and water resources. He worked as a Scientist in Bangladesh Space Research and Remote Sensing Organization, Assistant Professor in the University of Rajshahi-Bangladesh, Research Fellow in Asian Institute of Technology-Thailand, Research Fellow in Rhodes University of South Africa and Senior Lecturer in University of Malaysia-Malaysia. His area of expertise includes: Climate Variability and Changes, Hydrological Processes, Environmental Modeling, and Natural Hazard. He is the author of more than 50 research articles and two books. He is the principal investigator of number of research projects including an international project on climate change. He is the life member of European Geosciences Union and member of many other professional bodies. He received number of awards/fellowships including Indian Council for Cultural Relation Fellowship (India), Georg Foster Fellowship (Germany) and Research Award of the Faculty of Civil Engineering (UTM). 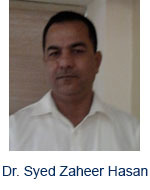 Dr. Syed Zaheer Hasan is Scientist-G in the Petroleum Research Wing of Gujarat Energy Research and Management Institute, Gandhinagar, Gujarat, India. He received his Ph. D. degree in Geology from Aligarh Muslim University in 1999. Then worked there as Post-Doctoral Fellow in the Department of Geology under the Young Scientist Scheme of the Department of Science and Technology for three years. Later he served one USA based multinational company providing assistance to hydrocarbon exploration and production industries prior to joining his present concern. He is having versatile field and laboratory experience in the areas of hydrocarbon reservoir production potential evaluation and techniques to increment the recovery; well cementing and stimulation techniques; qualitative and quantitative evaluation of groundwater resources; water borne diseases; agricultural growth versus water availability; environmental impact assessment; alternate source of groundwater recharge; developing synthetic combustion fuel and many more. He is having number of publications to his credit besides, fellow and member of various national and international scientific societies, chief editor, member editorial boards and reviewer of various science magazines. 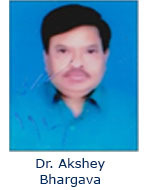 Dr. Akshey Bhargava is presently Professor in Civil Engineering, Global Institute of Engineering and Technology, Hyderabad. He has been the “Member Secretary “to the Rajasthan Pollution Control Board, Jaipur, also has been Senior visiting Prof. L.D. College of Engineering and CEPT University, Ahmedabad and Director Kalol Institute of Technology and Research Centre, Kalol, Gandhi Nagar, Gujarat. Also was Director, Jyoti Rao Phoole University, Jaipur and Technical Advisor/ Environmental Advisor to various consultancy organizations. 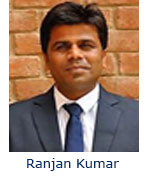 Ranjan Kumar is a Assistant Professor in Department of Civil Engineering at the Gautam Budh Technical University. He earned his (M.Tech) in Civil Engineering with specialistaion in Environmental Engineering from Indian Institute of Technology (IIT) Roorkee. Then worked as a Assistant Professor in IILM Greater Noida. He is having 5.3 Years of Experience in the field of teaching. His Area of Expertise includes: Solid waste, water, air, EIA, Waste Management etc. He is the author of “Understanding the effect of acid rain on physico-chemical and engineering properties of black cotton soil” and “Enhanced production and characterization of biosrfactant produced by newly isolated Bacillus amyloliquefaciens USTBb using response surface methodology” etc. 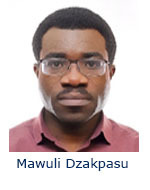 Mawuli Dzakpasu, Ph.D., Aff.M.ASCE received his M.Sc. in Water Resources Engineering and Ph.D. in Environmental Biotechnology from Kwame Nkrumah university of Science and Technology, Ghana and Dundalk Institute of Technology, Ireland, respectively. He has worked at University College Dublin, Ireland since graduation on wetland and sustainable urban water management systems. He is also a visiting researcher and lecturer at Xi’an University of Architecture and Technology, China. His research has been focused on integrated constructed wetlands, alternative water resources technologies, sustainable water management, urban water systems analysis, and water resources and quality forecasting. 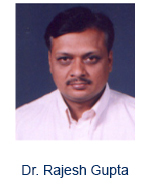 He has coordinated and contributed to several multi-disciplinary and multi-institutional research projects.